Sales of campers and R.V.s are at an all time high thanks in part to Millennials and their desire to spend their money on experiences rather than things. 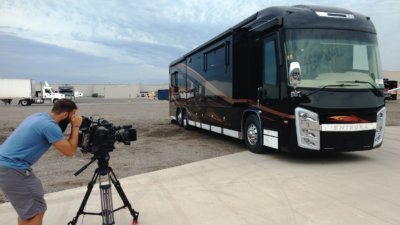 CNBC wanted to see how Thor Industries, one of the leading camper and R.V. manufacturers in the country, is adapting their product to target the millennial consumer base. 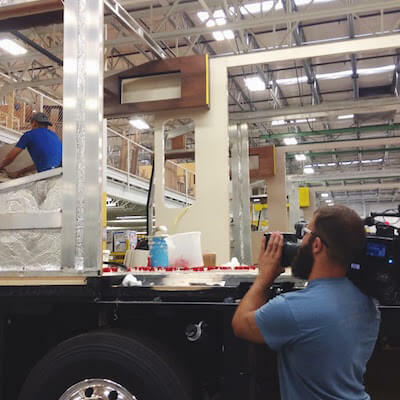 Chicago DP Matt Rossetti and I visited two Thor Industries manufacturing plants, Keystone and Jayco, to shoot B-roll of the campers and R.V.s being made. Seeing how quickly the campers were put together was impressive! The plants were able to quickly assemble large camper trailers and whole motor-homes from the ground up in a day or two. We then went to Thor Industries HQ in Elkhart, IN to shoot several finished products as well as an interview with the CEO. We found a great shoot location inside a camper. After the interview, we spent the rest of the shoot getting beauty shots of the campers exteriors and interiors. Great day working with CNBC to help bring their audience insight on how Millennials are influencing the market place and showing how cool camper manufacturing plants are. Watch the full piece here!